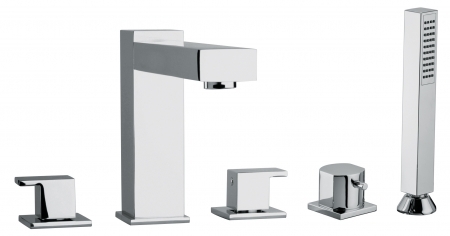 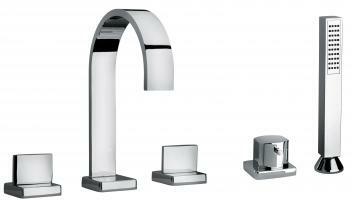 This modern bathroom faucet set has everything needed for the tub area, including a hand held shower head. 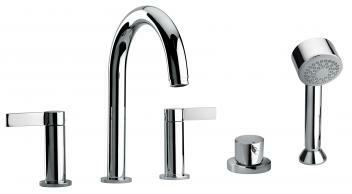 The two handles make control of the water flow and temperature a breeze. 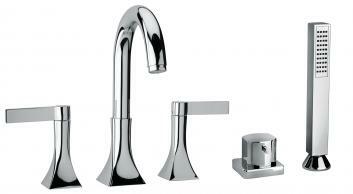 These five pieces look great in a classic silver chrome and other great finish color choices are also available.